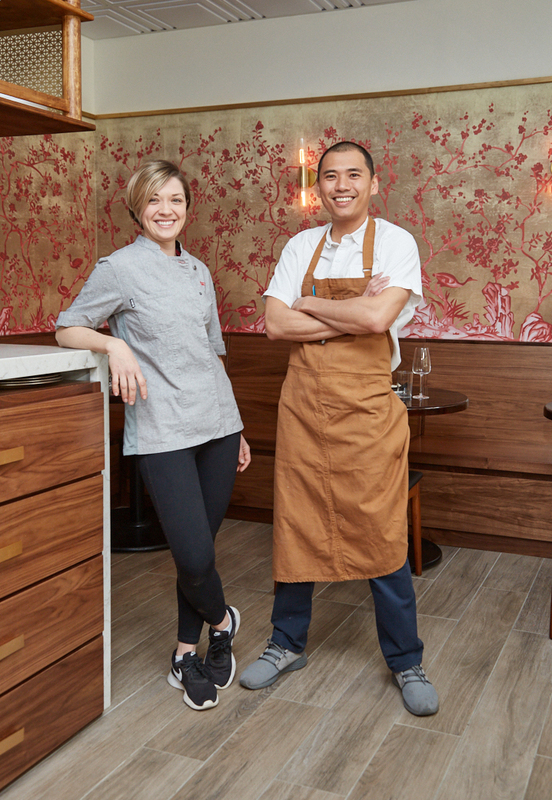 Sarah Thompson and Henji Cheung have always wanted their own little restaurant. But in New York where they’ve spent most of their careers? “It just is financially almost impossible for a mom and pop to start up a restaurant,” says Cheung says. At the insistence of Thompson’s older sister, who lives in DC, they decided to venture south. 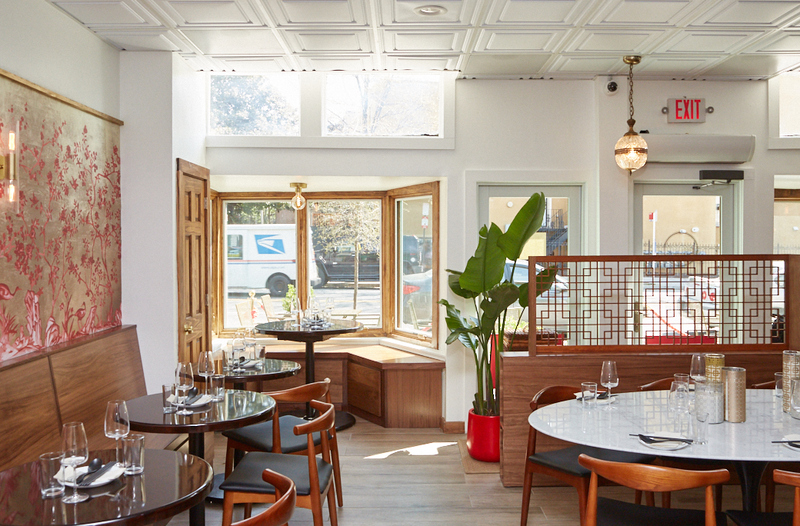 In Columbia Heights, they found the family-oriented, neighborhood vibe they wanted to open Queen’s English, serving modern Hong Kong cuisine. 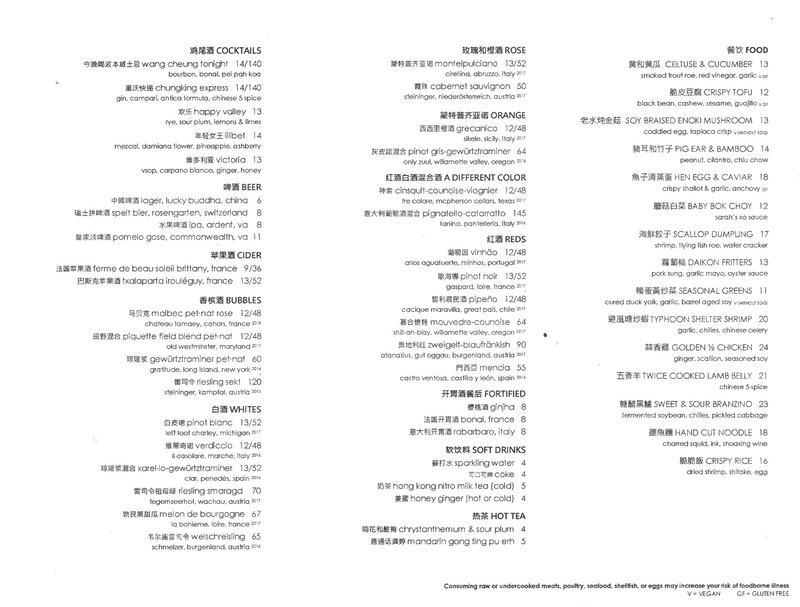 The restaurant opened yesterday with a limited menu and will be fully up and running on Saturday, April 13. Cheung grew up in Hong Kong until the age of eight and continued to visit every summer growing up. Most recently, he worked as an executive sous chef for the Metropolitan Museum of Art. Meanwhile, Thompson has a background in front and back of house and also started her own artisanal sea salt company called Urban Sproule with a rooftop salt farm in Manhattan. (While the company no longer exists, Thompson is considering some salt production on the roof of Queen’s English.) The couple met working at the Little Beet Table in New York. While Cheung’s professional background is mostly in Italian and French cuisines, wok-cooking and the flavors of garlic, ginger, and scallion are what he grew up with and what he cooks at home—and what he wanted to tap into at Queen’s English. “This is comfort food. This is me just cooking with my soul,” he says. 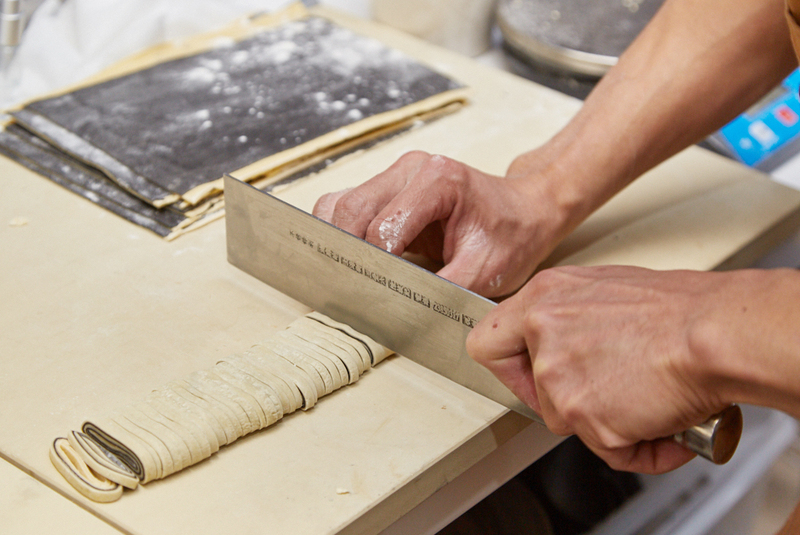 Still, Cheung’s Italian background plays into hand-cut noodles, which are white on one side and dyed black with squid ink on the other. The strands are tossed in a wok with seared squid, Chinese celery, dry mountain peppers, and Shaoxing wine, then glazed in a homemade seafood soy sauce made with charred fish bones. In fact, Cheung has developed five different types of barrel-aged soy, including fermented tofu, black fungus-prickly ash, and cold-smoked variations. Other highlights of the shareable menu include a scallop dumpling that’s actually a scallop mousse poached and seared to look like a dumpling. A super crunchy skin sits on top of the dumpling instead of encasing it. “Typhoon shelter shrimp” is named after a dish that fishermen in old Hong Kong used to make in their boats during a storm. It’s typically made with crab, but Cheung fries plump Louisiana shrimp with toasted garlic, scallions, and chillies. A traditional egg custard from Cheung’s mom is upgraded with American caviar, crispy shallots, and garlic. The smashed cucumber salad is also far from traditional. Cheung marinates the vegetable in red vinegar, garlic, and sesame oil, but adds another layer of flavor with house-smoked celtuce and trout roe. “It’s fresh, it’s light, it’s sweet, it’s sour, it’s smoky,” he says. 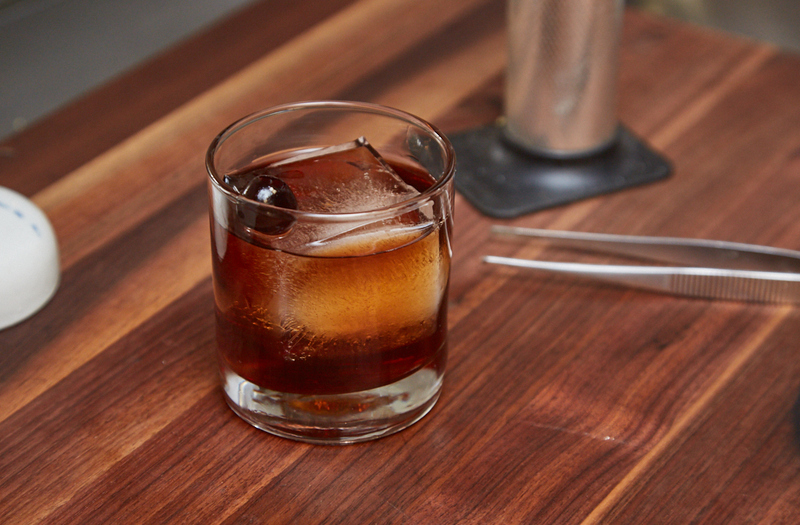 Two barrel-aged cocktails riff off classics: a Manhattan incorporates Chinese herbal medicinal syrup, while negroni uses Chinese five-spice. You can order either boozy drink by the glass for $14 or in a mini barrel (which contains the equivalent of 11 cocktails) for $140. For something a little more crushable, try a mezcal concoction incorporating pineapple shrub with coconut vinegar and ashberry (a wild lemon peppercorn). A lone Chinese lager is on the menu (Lucky Buddha), but the handful of beer options range from a Swiss pale ale to a Virginia gose. And though wine rarely gets much attention at Chinese restaurants, that’s not at all the case at Queen’s English. The “fresh and funky” list is heavy on natural wines from family-owned vineyards as well as “interesting grapes that you don’t often see,” Thompson says. In addition to reds, whites, roses, and orange wines, there’s also category for “a different color,” referring to bottles that incorporate both red and white grapes together. One that Thompson describes as “super fresh, juicy, almost grapefruit” comes from Texas, of all places. The restaurant will be open for dinner only to start, but will eventually expand to Sunday brunch—just don’t think dim sum. Rather, Thompson and Cheung will model the menu after Hong Kong tea parlors that offer milk tea, coffee, egg sandwiches, pineapple buns, peanut butter French toast, or oddball dishes like tomato-and-macaroni. The dining room plays off the old-school Chinatown restaurants decorated in red and gold. One friend custom-designed the wall paper, and another built the wood banquettes. But the couple’s first design pieces were two pendant lamps from the 1920s they bought in a vintage shop in Connecticut four years ago. Queen’s English. 3410 11th St., NW. Open Tuesday through Thursday from 5:30 to 10:30 PM, Friday and Saturday from 5:30 to 11:30 PM. Sunday brunch to come.